This 18 year old NYC rapper/producer/director has already been making waves from age 13 making beats, to opening for Wu Tang Clan on their 20th anniversary tour last year. 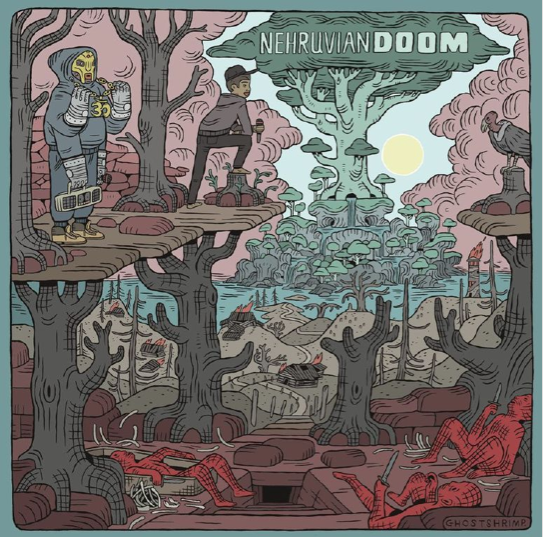 I first became aware of him with his debut EP Nehruvia, having heard a few of the tracks separately, a mix of top quality beats from Hip-Hop heavyweights such as DOOM, J Dilla & Madlib garnished with his beyond his years lyrics. 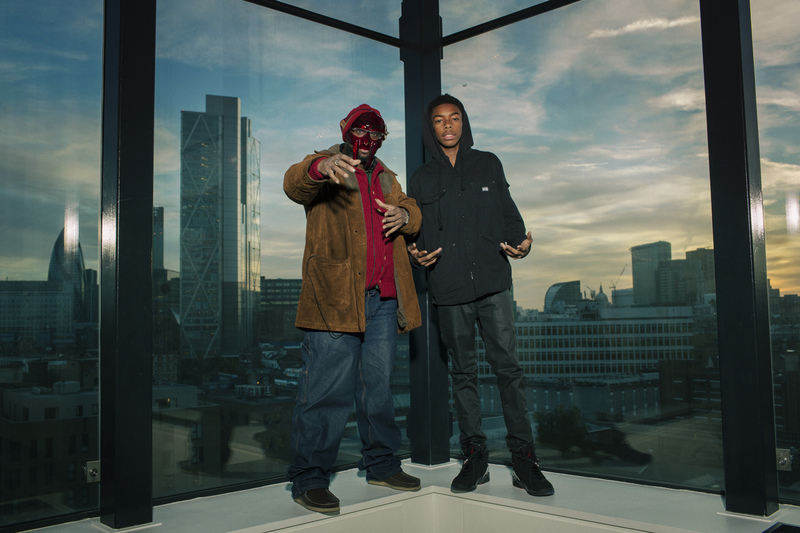 Now as many have heard his most exciting project is forthcoming, a collaborative EP with the legendary MF DOOM, his first retail release it will be available on Lex Records from Sept 23rd and is sure to be straight dope. The dope album art was done by Ghostshrimp, who designed the world for super crazy cartoon, Adventure Time. The guys over at BitTorrent have put together an interview about the project and a Torrent bundle with his first EP and loads of behind the scenes stuff, you can then enter your email to download a further 4 mixtapes, music videos and album artwork! Sound System Culture is a book which documents Huddersfield’s rich history of reggae music, in particular the sound systems and Blues parties/Dancehalls of the 1970’s – 80’s. Featuring a selection of superb photography which gives a rare, insiders look at the people and indeed the beautifully hand-crafted equipment which powered the scene; this book is a real gem. The book has been very well received, with reviews in major publications such as The Independent and in respected culture blogs such as It’s Nice That, and with good reason, the book has been produced with a real reverence and attention to detail, not surprising when Al Newman’s (designer/publisher) previous books include the revered ‘Clarks in Jamaica’. Conceived by Mandeep Samra and written by Paul Huxtable (Axis sound system, and Valv-a-tron hand-made valve amplifiers), with wonderfully intimate photography, the book is equally enjoyable to the uninformed and audio-geek alike. As well as the book the project has featured an exhibition and a documentary film, view the trailer for the forthcoming documentary ‘Sound System Culture’ follow their videos here. Find out more over on the Sound System Culture blog here, follow more via Twitter or Facebook. As an extra treat for you reggae fans, an interview with the legendary Winston Rodney aka ‘Burning Spear’ after his appearance at Cleopatra’s in Huddersfield in 1980. Our friends Mr Shiraz have dropped a new video from their upcoming new album. No stranger to inventive and mental videos (See here), this one is no exception, a decidedly lo-fi animation that features a giant monster and lazer beams shot from the bands instruments and crotches – what’s not to like?! Final year short animation done at Stockport College. The idea for the short came about from reading stories told by the Native Americans about death and the afterlife. By Tom Mathieson, more work here. Season 3 of Boardwalk Empire premiered on Sunday, for those who haven’t seen it, we strongly suggest you take a look! Possibly a little more difficult to get into than your usual trash TV (Good in my opinion) watch it from the start, worth it if only for episode 1 – directed by Martin Scorsese, and enjoy the glorious, epic story. Sumptuous costume and sets really immerses you in the 1920’s, the era of prohibition; the level of detail is simply stunning. The story focuses on Enoch ‘Nucky’ Thompson (Steve Buschemi) and his struggle to maintain his power over Atlantic City. The cast is large (and talented) and story-lines many, with back stories to each character helping to build an authentic and realistic vision of the time and narrative. I really cannot recommend it enough, one of the best TV programs of recent times. Hats off to HBO, again. Watch Boardwalk Empire in the UK on Sky Atlantic, Saturday September 29th at 9pm. Not to be outdone by our cousins over the Atlantic, this month also saw the premiere of season 4 of The Thick of It, a satirical comedy based on the UK’s political parties and those in power (of course none of the characters are based on real people… hmm). Created by Armando Ianucci (above) one of the people behind some of the best comedy on TV in recent years (Seriously, almost every good bit of comedy to come about has had him behind the scenes! ), it examines both the party in power and the opposition, the main draw to the program has got to be Malcolm Tucker (Peter Capaldi) the Labour Spin Doctor, and his foul mouthed rants which are hilarious. The program is not only funny, witty and entertaining – it also goes a long way into looking at the state of the nation and how it is governed, exposing some of the ridiculous situations that can arise; I think it’s examination of the relationship between the press and government is particularly interesting and probably quite accurate. Watch The Thick of It on BBC Two, Saturdays 9:45pm. Check out this story, Fact is stranger than fiction – Hilarious. Alistair Campbell & Malcolm Tucker’s Swear-athon accidentally broadcast in creche. Check out their next event with THE MISTA MEN, The WhiteBoys (Nasty FM), Tony Phorse & Loft Mind on the facebook page here.